After a game-data-deleting bug, Bethesda has extended the test period and revealed the new, full schedule. Bethesda has been anticipating a lot of errors in the Break It Early Test Application (B.E.T.A.) 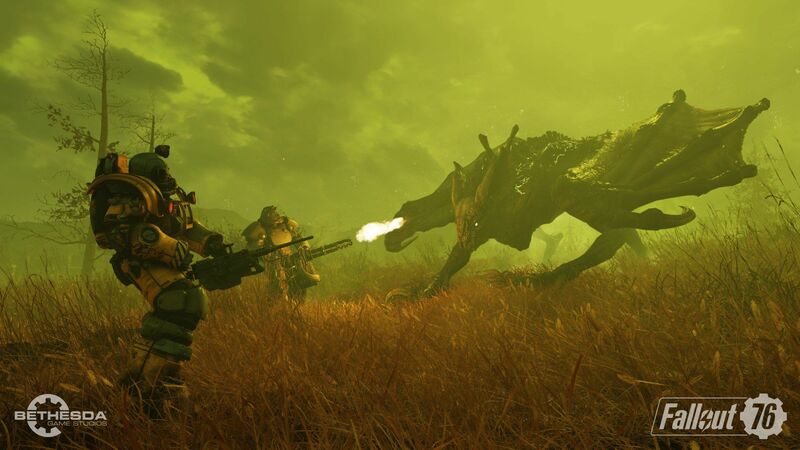 phase for Fallout 76, but the test period stumbled off the starting line a bit. Due to some errors with the PC launcher, though, Bethesda is extending the Fallout 76 beta for all platforms and have shared the updated schedule. We’ll be extending the #Fallout76 B.E.T.A. for everyone on Thursday, November 1, 2pm to 11pm ET. Please take a look at our updated schedule for the next upcoming B.E.T.A. sessions. The issue with the Fallout 76 PC beta launcher update was a bug that caused login errors, download issues, and outright deletion of the game's data. Beyond being a major annoyance, this beta phase is set for limited time periods and this kept players out of the game while having to redownload and limited the amount of data Bethesda could use from players jumping into the multiplayer survival game. Gear up to return to this fresh, new wasteland tomorrow and stay tuned to Shacknews for additional Fallout 76 updates.